Morning Watch starts the day, silently, with the whole community. Starting each day in the peaceful Morning Watch Chapel has been a tradition at Falling Creek from the beginning. 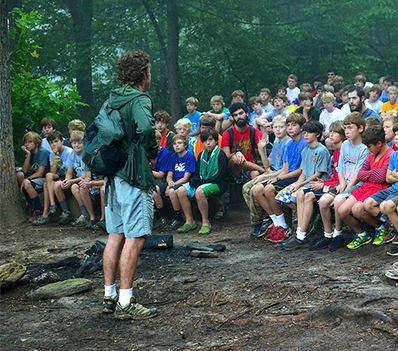 After the wake up bell and cabin clean up, campers and counselors silently gather in the chapel overlooking the lake. After a few minutes of quiet, hearing only the sounds of nature, a staff member delivers the message for the day. 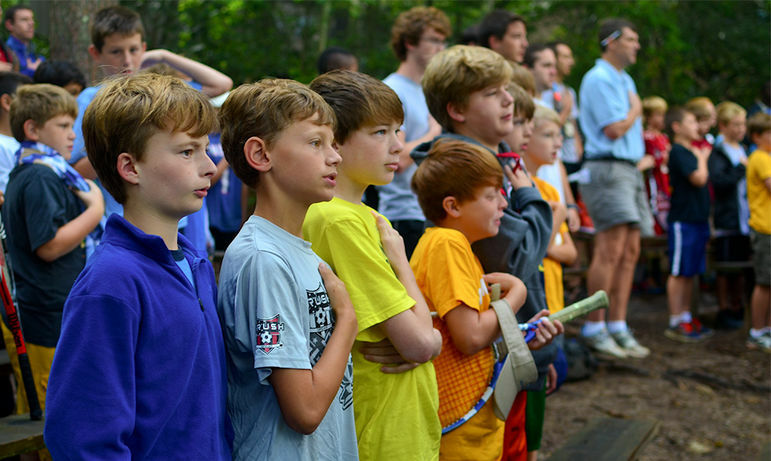 Morning Watch concludes with the boys reciting the Pledge of Allegiance, and then walking to the dining hall for a hearty breakfast.